Caught up with Amsterdam, Berlin, Prague, Vienna, Budapest, Zagreb, Ljubljana & Zurich? If you knew our original Interrail route, you would know that Paris wasn’t on there. However we’ve managed to squeeze it in between Zurich and Luxembourg, and here we are! With travelling for most of the day, breakfast and lunch were ashamedly uninspiring, but we did get such a nice dinner in between some bits of sightseeing. After being on the metro for half an hour to go to a restaurant which we then found out was closed for maintenance, we were left feeling very hungry and not surrounded by many options. But luckily this cheap eat wasn’t too far away and we were able to get a table outside and tuck into some quality barbecue meat. From the menu you could choose from four meats in either barbecue or burger style, then pick from fries, vegetables or both, and then a sauce which is all included in the price of around 14-15 euros. After a guy on the table next to us recommended the Caramel Epice sauce, we both went for it and never looked back! 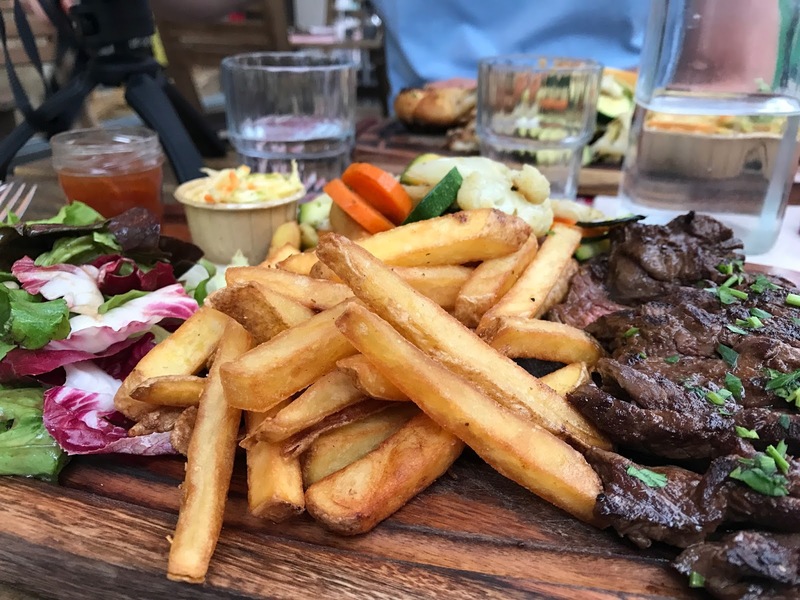 Both the beef and chicken were incredibly tender and there was plenty of fries and vegetables to make it just what we needed! Once we’d finished sightseeing it had got pretty late, but we needed to make a dessert stop before heading back. Ice cream is what Jessica wanted and got, and luckily we didn’t have to walk too far to find these beasts! It’s a mix of vanilla and strawberry and as you can see, they were huge! 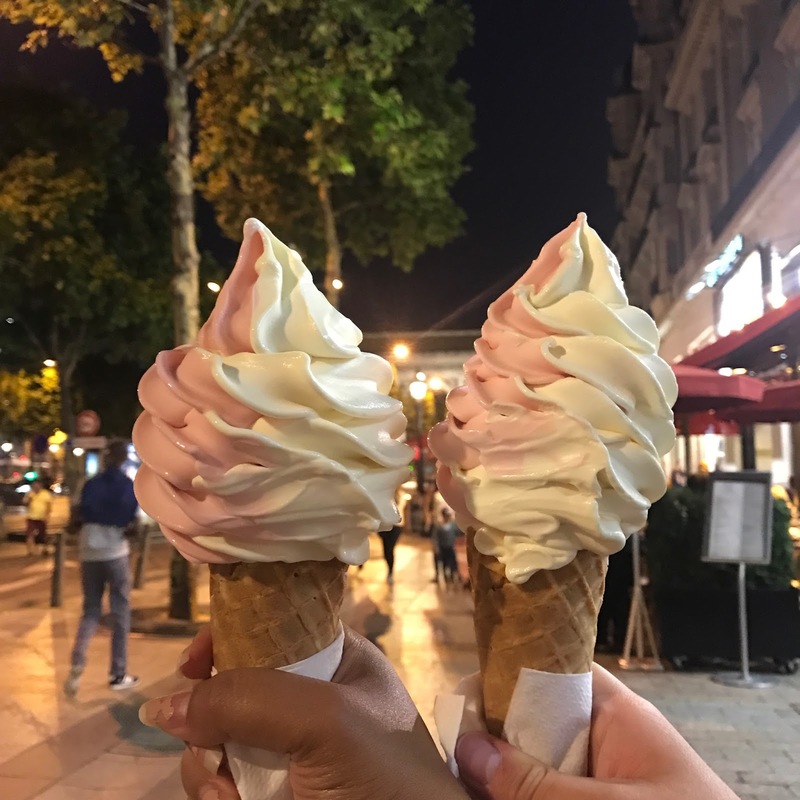 I'm going to Paris in September with my boyfriend and I think we need to find the same kind of food when we're there haha! Those look delicious!